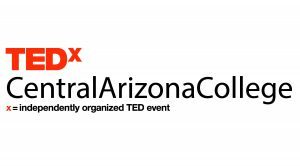 TED is a nonprofit organization devoted to Ideas Worth Spreading, often in the form of short talks delivered by leading thinkers and doers. Many of these talks are given at TED conferences, including our annual gathering in Vancouver, as well as TEDWomen, intimate TED Salons and thousands of independently organized TEDx events around the world. Videos of these talks are made available, free, on TED.com and other platforms including Apple Podcasts. TED’s open and free initiatives for spreading ideas include TED.com, where new TED Talk videos are posted daily; TEDx, which licenses thousands of individuals and groups to host local, self-organized TED-style events around the world; the TED Fellows program, which selects innovators from around the globe to amplify the impact of their remarkable projects and activities; the Audacious Project, which surfaces and funds critical ideas that have the potential to impact millions of lives; TEDSummit, which gathers the most engaged members of the global TED community for brainstorms, discussions, performances, workshops and an eclectic program of mainstage talks; and the educational initiativeTED-Ed. TED also has a library of original podcasts, including TED Talks Daily, The TED Interview with Chris Anderson, Sincerely, X, and one of Apple Podcasts’ most downloaded new shows of 2018, WorkLife with Adam Grant.